We showed you how to get rid of unwanted telemarketing calls and SMS in our tutorial named ‘How to stop unwanted telemarketing calls and SMS‘. 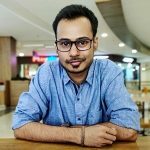 That tutorial showed you two methods through which you can stop unwanted telemarketing calls and SMS from bothering you every now and then. If you still receive unsolicited commercial communication (UCC) even after 7 days of registering your number to stop such communication, you can register a complaint against telemarketers with your service provider. In this tutorial, we show you how to register a complaint against telemarketers (in India). As mentioned before, you can file complaint against telemarketer upon receiving UCC even after 7 days of registering your number to stop such communication. You need to register the complaint within 3 days of receiving such UCC. There are two methods through which you can file complaint against telemarketers. To file complaint against telemarketers through call, you need to ‘open your dialer‘, type the number ‘1909‘ and tap the call button. Upon making the call, you can choose to either file your complaint through IVRS (Integrated Voice Response System) or through Customer Care Executive. Date and time at which the UCC was received. Number from which you received the UCC. The customer care executive will then register your complaint and will provide a unique complaint number for the same. 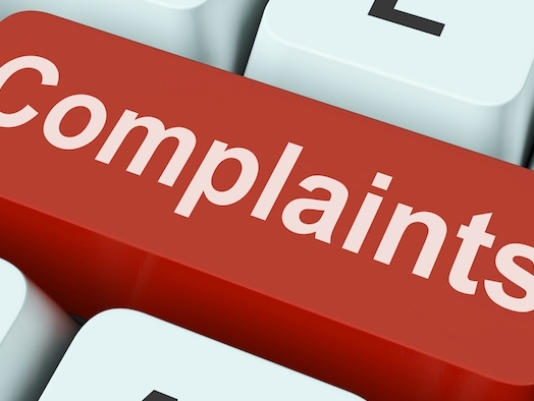 You need to retain this complaint number for future communication. Apart from calling, you can also file complaint against telemarketers through SMS. 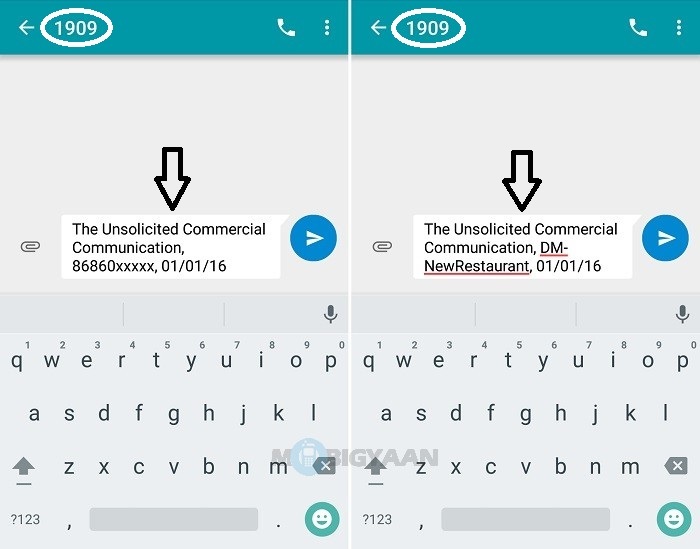 You need to send an SMS to ‘1909‘ in the following format “The Unsolicited Commercial Communication, XXXXXXXXXX, dd/mm/yy“. You need to send the SMS in the same format as mentioned above. 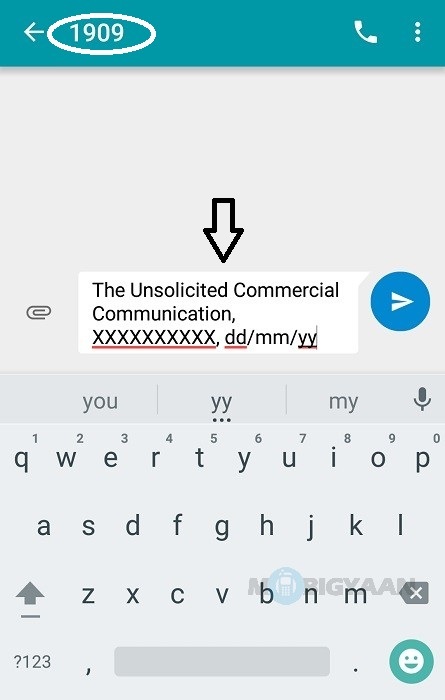 ‘XXXXXXXXXX’ represents the SMS header or the telephone number from which you received unsolicited commercial communication, whereas ‘dd/mm/yy’ is the date on which you received the unsolicited commercial communication. 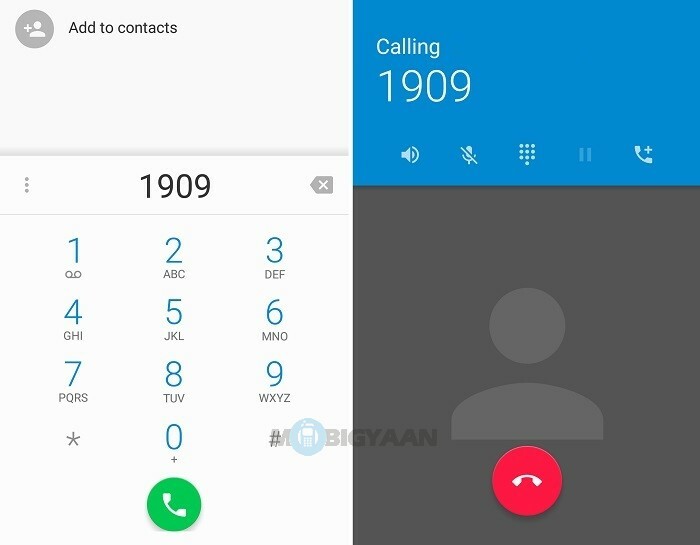 Upon sending the SMS to ‘1909’ in the above specified format, your complaint will be registered and you will be provided a unique complaint number through SMS for future communication. After you file complaint against telemarketers using either of the two methods mentioned above, you will be informed of the necessary action taken within 7 days of registering your complaint. We hope you were able to file complaint against telemarketers with the help of this tutorials. Have a look at our How-To Guides section for more such useful tutorials.